There is a huge difference between financial and business analytics but they are deeply connected to each other. Business analytics is a broader term which includes all the activities done to achieve maximum growth to the business. Whereas financial analytics includes interpretation of the financial data and forecasting companies financial results and preparing a roadmap for increasing company profits on the basis of the past financial information. Let’s understand with definitions of both the analytics. Financial Analytics– Financial analytics is science that follows a cognitive process by a financial analyst to gain in-depth knowledge from the financial data of the company and helps in financial planning to improve the performance of the business. Financial analytics gives you all the answers related to company performance in financial language, in simple terms in numbers. Financial analytics helps you to understand the current financial position of the company and lets you forecast the future of the company on the basis of financial planning. Financial analytics are important for a company to help the business to make important decisions, have sound financial planning and forecasting the business growth, improve the financial decision making strategies of your business, focus on managing the tangible assets of your company, provide deeper insight of the financial status of your business and help in improving the profitability. 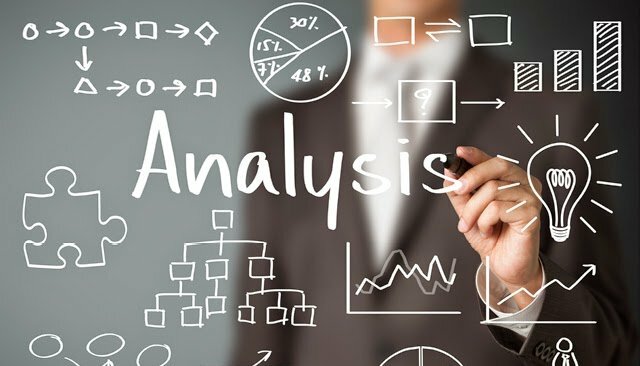 Business Analytics– Business analytics is the science that follows a cognitive process by a business analyst to find out about the business performance of the company and finding the factors that need to be improved for increasing business profits and measuring overall growth of the company. Business analytics uses quantitative methods and data based on evidence for business modeling and decision making. Business analytics is the analysis of the information provided by the business intelligence. Business analytics allows you to understand why this happens and whether it will happen again in the near future. Business analytics includes quantitative and statistical analysis, predictive modeling, and data mining and multivariate testing. Goals– Financial analytics have a different set of goals to business analytics. Strategic business planning & consultants provide the financial situation of the company with help in financial planning of the company. It provides support in decision making process for business analytics. Whereas the business analytics has a different set of goals which differentiate them both. Business analytics focuses on the business performance of the company and target various factors like marketing, HR and operations etc. Business analytics provides an insight on how things happened and are the likely to happen in the near future. Financial and business analytics goals are different all together but they are aligned with each other. Functions– Financial analytics has a different set of functions to perform and primarily work on the interpretation and forecasting of the financial data and collecting valuable financial information to help in business planning and helping in financial growth of the company. Business analytics is quite different in functioning and deals with the statistical and quantitative analysis of the company. Business analytics uses bio data for interpretation of the data to get valuable information for the company. Financial and business analytics is both important for a company and follows a different set of functions to give business insights. Tools Used– There are different tools used for financial and business analytics. Financial analytics use ratio analysis, cash flow operations, profits and loss account and balance sheet to get the valuable financial information for the company where as the business analytics use different sets of tools to analysis of the business performance. For business analytics, MS excel, MS Access and Minitab are used for the analysis of the business progress and future business planning. Results– There is a difference between the results provided by the financial and business analytics and have different but have some common goals between them. Financial analytics tells you the financial position of the company after a certain period and also help in determining future financial planning on the basis of the previous financial results of the company. Whereas the business analytics gives you insight about what steps need to be taken for increasing business growth, areas of improvement in the business and about business planning with future insights.